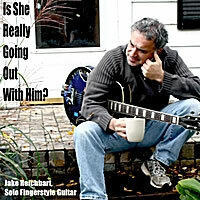 and it is available to purchase worldwide at your favorite retailer including Amazon: http://www.amazon.com/Jake-Reichbart-Plays-Guitar-Christmas/dp/1458411451 and many others. Q: Do you have a video describing the DVD/book and which also included video excerpts of the arrangements and the teaching portion? Q: How does Hal Leonard officially describe this product? 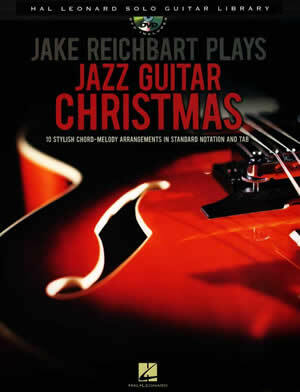 A: “Ten stylish "performance ready" chord-melody arrangements of Christmas favorites in standard notation and tablature by Jake Reichbart, one of the busiest freelance guitarists in the business. This unique package also includes an instructional DVD featuring Jake performing and teaching each song. A: List price is $19.99 but you’ll never pay that. I have seen my books discounted at least 10%, often 20%, once even 30%. When I think of all the hard work that went into this and the high quality of the product, it’s really cheap, discount or not. Q: What’s your deal with Hal Leonard? 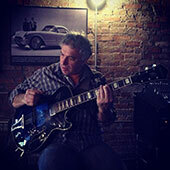 A: I produce for them DVD/book packages that are essentially of the same format, each package features 8 or 10 songs which I arranged for solo jazz guitar. Each song has a 15 minute segment on the DVD whereby in the first couple of minutes I play the arrangement and in the remaining time I proceed to show how to play it in close-up and very slowly. The DVDs, therefore, run either 2 or 2 ½ hours each. In addition, the book contains complete and very accurate standard notation and TAB. To date I have four such packages for pop tunes, jazz standards, Latin standards (produced but not yet published) and as of now, the Christmas package. Q: What tunes are featured on this new DVD/book? Probably “The Christmas Song”, “White Christmas”, “Rudolf…” same old, same old? Away in a Manger * Deck the Hall * The First Noel * God Rest Ye Merry, Gentlemen * Hark! The Herald Angels Sing * It Came upon the Midnight Clear * O Little Town of Bethlehem * Silent Night * We Wish You a Merry Christmas * What Child Is This? Q: How do we know your arrangements are cool? A: Fair enough. 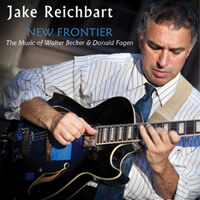 In general, you can check out the caliber of my arrangements at my YouTube channel www.youtube.com/user/jreichbart. 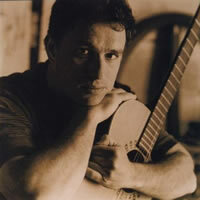 You can also stream some of the individual songs on my DVDs from Hal Leonard’s website, here is my personal page there http://www.guitarinstructor.com/product/viewinstructor.do?biographyid=861 Here you will find some of the same tracks available on my DVDs, plus many others, all with 30 second samples. Q: It’s still summer, and this is a Christmas book, why not just get it in November? A: Because it will take time to work on this music. I have not designed these arrangements to be neither easy in particular, nor difficult, just to sound great and they will take some time to learn and practice. So now would actually be a great time to buy if you want to be ready by the holiday season. Q: OK, we’re sold. What else can we do to help? A: You can share the link with, and pass the good word to, guitar players and students, friends, family and anyone who is likely to enjoy performing this music.